For a lecture tonight on prayer, I cobbled together a selection of passages on different aspects of prayer (this was a last-minute idea, so I haven't yet managed to track down some of the references). Here it is: a miniature anthology, taken from some of my favourite writers on prayer. —John Chapman, Spiritual Letters, 25. —Thomas Merton, Contemplation in a World of Action, 120. —Karl Barth, The Christian Life, 79. —Isaac the Syrian, On Ascetical Life. —John Chapman, Spiritual Letters, 38. —Kallistos Ware, The Power of the Name, 20. —Evagrius Ponticus, Chapters on Prayer, §22. —Simone Weil, Waiting for God, 151. —Gregory of Sinai, in Philokalia: On Prayer of the Heart, 62. —William Stringfellow, A Second Birthday, 108-9. —Isaac the Syrian, from Daily Readings with St Isaac of Syria, 42. —Theophan the Recluse, in The Art of Prayer: An Orthodox Anthology, 131. —St John of the Cross, Dark Night of the Soul, 2.18. —John Chapman, Spiritual Letters, 61-62. —Kallistos Ware, The Power of the Name, 19. Today my three children underwent one of life's most important rites of passage. An experience that marks a human life forever. A moment that divides a child's life into Before and After. A sacred, solemn, irreversible ritual. A trial of courage and virtue and strength of heart. A transition from the age of innocence to the age of wisdom and understanding and the fear of the Lord. I am referring, of course, to the circus. For today – I record this so the date will never be forgotten – my children went to the circus. It all started innocently enough. It was a hot day, and they had gone out for ice cream with their grandmother. Driving down the main highway, they saw rising up in the distance the great tent, big as a mountain, bright as sunrise, gleaming beneath golden spires and billowing flags, solitary and immaculate amid the wild debris of cages and cars and caravans, a giant pinned to the earth by quivering ropes, smiling madly with that cavernous black maw while the people stood nervously all in line and the one-eyed man by the ticket stand muttered prophecies thick with Russian and rum, casting secretive sideways glances at the wisecracking monkey on his shoulder. That is how, an hour later, my three defenceless children found themselves seated ringside, wide-eyed, beside their grandmother, gripping their seats with joy, as the jugglers hurled knives and the boys swallowed fire and the gymnast danced on the rolling globe and the sparkling trapeze artists flung themselves through space like falling stars. The circus – that institution of joy, that spectacle of ecumenism, that tent of democracy, that circle of sobornost, that festive assemblage of man and beast, sensuality and austerity, laughter and terror, life and death – the circus: is it not one of the great enduring signs of humanity in a world grown bloodless, inhuman, and cold? In a world ruled by the Machine, does not the circus maintain its raucous witness to the joy of Life? In a world ruled by Work, does not the circus uphold the true doctrine of the primacy of Play? In a world ruled by Death, does not the circus proclaim the happy gospel of death's defeat? It's intriguing to note that some of the most imaginative theologians of recent times have found particular spiritual significance in the circus. Henri Nouwen had a deep attachment to the circus. He likened Christ's followers to clowns – "he who is called to be a minister is called to be a clown". He was spellbound by a German trapeze troupe and followed them from place to place until he had befriended them. Eventually they even let him practise the trapeze himself. Watching the trapeze artists, he said, taught him all he needed to know about the way trust conquers fear. He wrote a book about "clowning", and, in his later years, hoped to write a book on the spirituality of the trapeze – though he never lived to do it. The lay theologian William Stringfellow had an even deeper obsession with the circus. He compared the circus to the kingdom of God, and argued that the church would be more faithful if it were less like a religious institution and more like a circus. "Biblical people, like circus folk, live typically as sojourners, interrupting time, with few possessions, and in tents, in this world." Like Nouwen, Stringfellow thought the circus exemplified a Christian vision of Christ's triumph over the fear of death. The circus ridicules death, and so becomes a parable of the coming kingdom: "In the circus, humans are represented as freed from consignment to death. There one person walks on a wire fifty feet above the ground, … another hangs in the air by the heels, one upholds twelve in a human pyramid, another is shot from a cannon. The circus performer is the image of the eschatological person – emancipated from frailty and inhibition, exhilarant, transcendent over death – neither confined nor conformed by the fear of death any more…. The service the circus does – more so, I regret to say, than the churches do – is to portray openly, dramatically, and humanly ... death in the midst of life. The circus is eschatological parable and social parody: it signals a transcendence of the power of death, which exposes this world as it truly is while it pioneers the Kingdom." 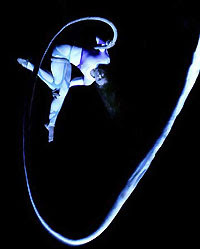 Stringfellow filled his home with circus memorabilia. He subscribed to circus magazines. He spent an entire summer – it was the high-point of his life – travelling from town to town with the Clyde Beatty-Cole Brothers Circus, until he had blended imperceptibly with the rest of that caravan of prophets, fools, and dreamers. As a popular itinerant lecturer, he used to plan his speaking schedule around circus routes. When asked how often he attended the circus, he once replied: "Not often. About twenty times a year." Stringfellow always planned to write a full-blown theology of the circus – though, like Nouwen, he died before ever completing that great piece of intellectual clowning. 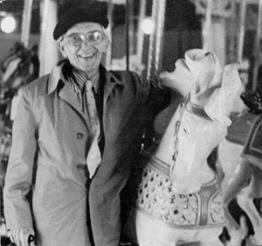 During a long illness, he built a huge scale model of the Clyde Beatty-Cole Brothers Circus. And when he died, they played circus music at his funeral. (A collection of Stringfellow's writings on the circus can be downloaded as a free pamphlet.) The parallels between Nouwen and Stringfellow are extremely striking. Both possessed by a boundless love of the circus, both homosexual in orientation, both committed to living in community, both privileging Christian practice over theory, both turning their backs on academic prestige to live among the poor, both developing quirky autobiographical styles of theology, both dying before they could write their theological treatises on the circus. And think for a moment of the desert fathers and mothers, those Christian ascetics who took to the deserts of Egypt and Syria in the third and fourth centuries. You could make a strong case that the desert fathers and mothers were really just a motley crew of wandering circus performers. Half-deranged spiritual clowns dressed in rags, poking fun at worldly wealth and power. Ascetic trapeze artists performing their reckless feats atop high columns. Lonely hermits taming the wild beasts as a sign of creation made new. Contemplative acrobats ascending the rungs of their interior ladders while the world looked on, breathless with suspense. Rejoicing clownlike even in sorrow, they renounced the whole wide world as a solemn witness to life and a gigantic joke against death and the devil. Today as my children swayed in their seats, clutching their hot dogs for dear life, gazing up into the mighty vault of the Big Top while the fearless liturgy spun its circle high above them, I wonder if they heard distant echoes of another performance, another time and place where weary souls drag themselves in from the dust and heat and huddle in a circle, scared and hopeful, hardly believing their eyes and ears when a clownish figure lifts bread and wine like a juggler and bellows out the great joke that is the exhilarating, momentous, stupendously funny secret at the heart of the universe: "Christ is risen!" Here is the point: as the transcendent Creator who speaks being with illocutionary force, God is transcendent precisely in his immanence. No dialectic is required. The triune God embraces all created being by opening up the eternal perichoretic harmony and so encounters creation as Creator. Every immanent encounter between God and creation is that of the Singer to the song. 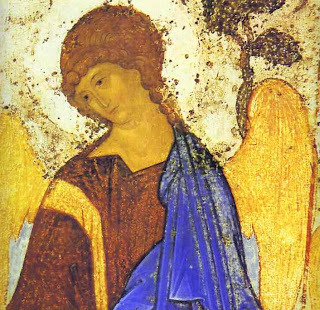 There is no need to protect God from the contingency of history, as the triune God transcends history, not by removal from it, but by every divine encounter with it. And speaking of Jenson and the Wesleyans, Peter Leithart points to Robert Jenson's Pro Ecclesia review of Nate Kerr's Christ, History and Apocalyptic. Jenson thinks that Nate's book represents "the perfection of what Barth might have come to think if he had not been so concerned for Scripture"! Love Wins is a book about God. It raises the question: what kind of God do Christians believe in? That's an important question in a world where so many of us – both within the church and without – have been hurt by bad theology. Perhaps we were taught that God has two different personalities: God can switch back and forth between vengeance and mercy, so that we never quite know what to expect. Or perhaps we were taught to think of God as a watchful policeman, always ready to hand out infringement notices whenever we step out of line. Or maybe we grew up feeling that God is more ‘pure’ than ordinary human experience, so that parts of our lives – especially those non-spiritual, bodily parts – are disgusting and offensive to God. There’s nothing trivial about bad theology. A diseased picture of God will inevitably produce symptoms in our thoughts and feelings, in the way we live and relate to each other, in our whole way of looking at the world. Family life, sexual life, friendship, work, leisure, creativity: all these parts of our experience are deeply shaped by the way we think about God. I often meet people who are still nursing wounds from the theology they imbibed as young children, people who are recovering from the worship of a bad god. Rob Bell is writing for people like that. And his point is simple: Jesus shows us what God is like; Jesus shows us the triumph of God’s love for the whole human race. Thus Bell raises the question whether human rejection of God might finally be overcome by God’s love; whether hell might turn out to be empty; whether all, in the end, will be saved. The easy assumption that salvation is only for ‘us’, he thinks, is an evasion of the universal significance of the gospel. If Christ’s resurrection doesn’t somehow affect every single human being, then we haven’t really grasped the meaning of resurrection. You might compare it to a legal system: it applies either to everybody or to nobody – it’s not the sort of thing that applies to just some members of a society. In a similar way, Christ’s resurrection is significant either for everyone, or for no one. As Bell puts it, Jesus is ‘as narrow as himself and as wide as the universe’. He is the exclusive way to salvation, yet he includes all humanity within himself. 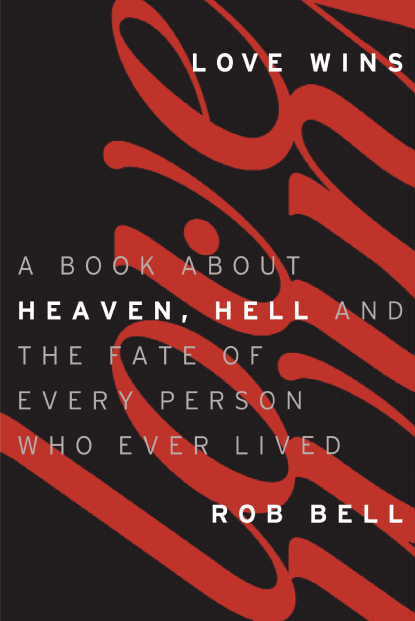 Rob Bell seems to be referring to this Orthodox tradition when he argues that ‘at the centre of the Christian tradition since the first church have been a number who insist that history is not tragic, hell is not forever, and love, in the end, wins.’ Once you see Christ’s death, descent and resurrection from an Orthodox perspective – as something universal, even cosmic in scope; as something that reaches every human being without exception – then the real question becomes: How could anyone ultimately escape the reach of God’s love? 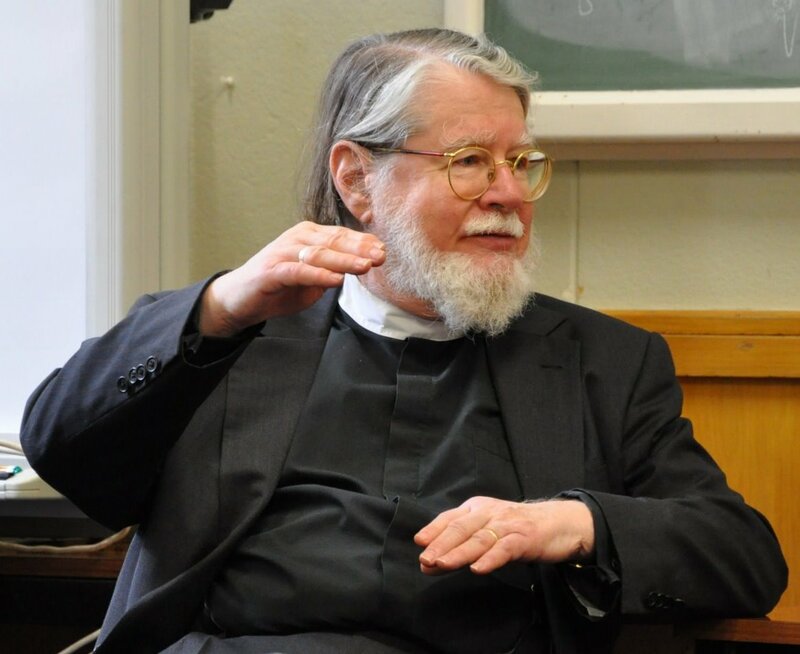 As Archbishop Hilarion argues, the universal scope of Christ’s work doesn’t necessarily mean that all will be saved. But it means that even hell itself is no longer a place of separation from God. Christ has penetrated into the depths of hell, flooding its darkness with the light of love. Hell has become a site of divine activity, a venue of divine love. ‘If I make my bed in Hades, you are there’ (Psalm 139:8). Thus the torment of hell can only be understood as the torment of love. Hell’s power is abolished – but someone might still reject God to such an extent that even love becomes a torment, an unbearable ‘scourge’. This Orthodox tradition is conveniently ignored by those critics who accuse Rob Bell of heresy. As though Eastern Orthodoxy is not sufficiently ‘orthodox’! As though the Christian creed confesses anything positive about hell – except that Christ ‘descended’ there before rising again! From the perspective of Christian tradition, I don’t think there are any grounds for questioning the orthodoxy of Love Wins. As far as I can tell, Rob Bell really just presents the gospel: he tells of God’s victorious love, a love revealed in Jesus Christ, a love that is deeper than vengeance and stronger than death. If that’s true, then we can be sure of one thing: in the end, love wins. Once upon a time there was a nation that considered itself special, so special that it called itself “The Chosen People”. They lived in a country that had rich soil and abundant natural resources – “a land flowing with milk and honey”. They had not always lived in this land. They travelled to it from another country where they had suffered from oppression. It was a long and arduous journey, and when they arrived in this “Promised Land”, they found that it was already inhabited. Nevertheless, because they felt that they had a special relationship with God – a “Covenant” they called it – and a special mission from God – to be a blessing to the world – they drove out the local tribes by force of arms and set about building a society regulated by a collection of God-given laws, enshrining principles of justice and freedom, which gave their nation a shape and a sense of identity. They believed that as long as they obeyed these laws, their tenure in the land was guaranteed, and that their children, and their children’s children, would also enjoy its safety and bounty. From time to time social critics came along who criticised the leadership of the nation for not living up to its ideals, and warned of catastrophe if they didn’t repent, but they were either ignored as madmen or persecuted as traitors. But these “prophets” turned out to be right, for one day something terrible did happen, something of such monumental, catastrophic significance that it cast doubt on all the nation’s assumptions about itself and its special relationship with God – its impregnability, its goodness, its sense of vocation and mission – and forced its people to re-examine their beliefs. And this nation was, of course – Israel. Of course! Who else? It all fits: the exodus from oppression in Egypt and the gruelling journey to the Promised Land; the righteous slaughter of the indigenous Canaanites and the occupation of the land; the establishment of the Covenant and the giving of the Law; God’s promise of homeland security “to a thousand generations”, and the people’s pledge of allegiance; the failure of kings to keep the pledge, and the futile critiques and admonitions of the prophets; and, finally, the terrible calamity of war and defeat at the hands of the Babylonians – the sacking of Jerusalem, the razing of the Temple, and the ensuing exile. Yes, of course, who else but Israel? 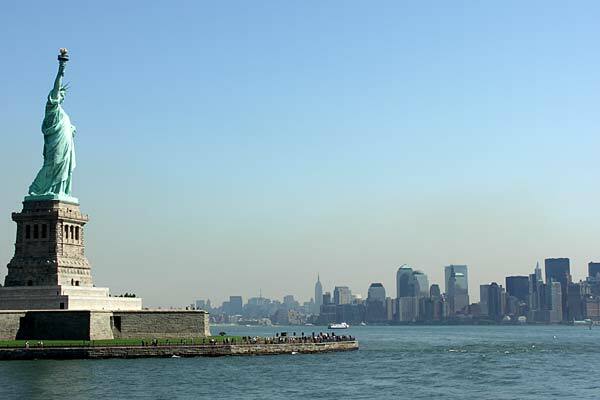 You don’t think your resident New Yorker might have a hidden agenda, do you? But as a thought experiment, for Israel let’s substitute the United States and check out our national mythology. To escape religious and political persecution in Britain, we sailed the dangerous waters of the Atlantic to America the beautiful, the Promised Land, lush and fertile, only to find it already inhabited by indigenous peoples. You know what we did to them – systematic pillage and plunder – but that was okay because we had a “manifest destiny” to claim the land as our own “from sea to shining sea”. Besides, we had enlightened laws, enshrined in the Declaration of Independence and the Constitution, with which we would civilise the local heathen (the ones we didn’t kill or confine to reservations), and, for that matter, the foreign heathen we imported from Africa and the West Indies to work our fields of gold. Indeed, America would be “a city set on a hill” for the whole world to see, admire, envy, and imitate. Occasionally our own prophets have arisen, pointed out our Original Sins of genocide and slavery, and exposed the moral iniquity of the myth of redemptive violence which has always been the reigning paradigm of American domestic and foreign policy; in return, however, they have been ignored or persecuted as unpatriotic, “un-American”. And even when they have proved to be right in their warnings about the tragedies that ensue from the arrogance of power – the Philippine-American War, the War in Vietnam, for example – they have been airbrushed out of the picture by our court historians. And, finally, the American version of the Babylonians and their assault on our iconic institutions which we had assumed were invulnerable – al-Qaeda and the terrorist attacks on the World Trade Center and the Pentagon. It’s a nice fit, don’t you think? But then the shoe begins to pinch, the analogy to break down. Because the experience of defeat and exile induced Israel to revisit its national script, to re-examine its history, to reimagine its future, and, crucially, to think the unthinkable about God. Indeed, the question “Where is God in all this?” propelled Israel into one of its most theologically creative periods ever, with old traditions collected and edited, and new works written and discussed. Against the lies of establishment cover-up, Jeremiah urged Israel to become a “community of honest grief” (Walter Brueggemann); and against the civic religion that presumes that “God is on our side”, Ezekiel proclaimed a God who cannot be nationalised, who is holy and free. After the exile and return to the land, there were other innovative and radical thinkers: the authors of the books of Jonah and Ruth, for example, who concluded that Israel wasn’t so special as to preclude the God of Israel from being the God of all people and all history; and the author of Job, who had the astonishing insight that even in suffering, death, and grief God might yet be encountered. But what has the experience of 9/11 done for America? At the time, among the neo-conservative clique in Washington, nothing whatsoever in terms of pausing, reflecting, and achieving moral clarity; only the rush of blood, the pursuit of payback, and the reassertion of the pathologies of angelic innocence, zealous patriotism, and righteous vengeance, exploited with a religious discourse deployed for a geo-political agenda. In contrast to the intellectual fertility in exilic and post-exilic Israel, we had a lethal mixture of sentiment, denial, mendacity, and violence. And Obama? Compared to the burning Bush, there is character and intelligence, a change of style and rhetoric, and a make-over of America’s image. In fact, however, there have been few major changes in foreign policy at all. Ten years squandered in unconscionable military conflagrations inextricably connected to the recent economic meltdown. Yet to most American themselves, the US remains, in former Secretary of State Madeleine Albright’s modest phrase, “the indispensable nation”. “The Chosen People”. It would appear to be a concept that, to say the least, is open to abuse. From its origin in Israel to its commandeering by the United States, a nation’s self-understanding as called and blessed by God has resulted in arrogance, complacency, the abuse of power, and an imperviousness to criticism. Is the concept salvageable and still serviceable? Only on three conditions. First, The Chosen People can in no way be taken to refer to a specific nation-state. To suggest that the United States, or England – or even Wales! – is The Chosen People is sheer hubris based on distorted theology. Even the nation-state of Israel cannot claim the title. No nation-state can. Because after Christ the term no longer refers to a geographical or cultural entity. Because, on the one hand, “being in Christ” has replaced “being in the land”, and, on the other hand, the land has expanded to encompass the whole world. In Christ, all people are Chosen People. Second, we must carefully define exactly what being chosen means. It means being chosen by God for a purpose. But this purpose has nothing to do with privilege, protection, wealth, power, and defence: it’s got to do with service, self-sacrifice, dispossession, vulnerability, and nonviolence. It’s got to do with the way of Jesus, which is the way of the cross. And third, for the church, insofar as we may think of ourselves as “a chosen race, … a royal nation” (I Peter 2:9), it cannot mean that we are a club for the nice and the virtuous, a group that likes to do “religious” things, a Starbucks for consumers of the “spiritual”, a haven for the world-weary, or a safe-house where we can stay out of trouble; rather it will be a community of radical welcome, hands-on commitment, indiscriminate compassion, political critique, and unconquerable hope. In short, a church that refuses to allow its own story to be absorbed into pseudo-sacred national narratives and manipulated by the selective remembering of state liturgies and patriotic commemorations: a church that knows that only one event has ever truly changed the world, an event that happened not on a late summer Tuesday in 2001, but on an early spring weekend around 33 A.D. An apocalyptic event for sure, but an apocalypse of peace. One more Sydney theology event that I neglected to mention: this coming weekend, Campion College will be holding a G. K. Chesterton conference, on the theme of Chesterton's economic theory. The Campion library also has a special research collection of Chesterton-related materials – and they have a Chesterton conference every year. BOY: That’s what I’ll do! This’ll really cheer you up! I’ll clip a clothes peg to your tail! And put rubber bands around your ears! DOG (looking up with sad eyes): I’d rather be hurt by you than loved by anyone else. My little boy Jamie gave his mother a big kiss on the lips. Then, very thoughtfully – like someone comparing one wine to another – he said: "Kola's lips are so adorable."